I've never storyboarded (is that even what it's called?) 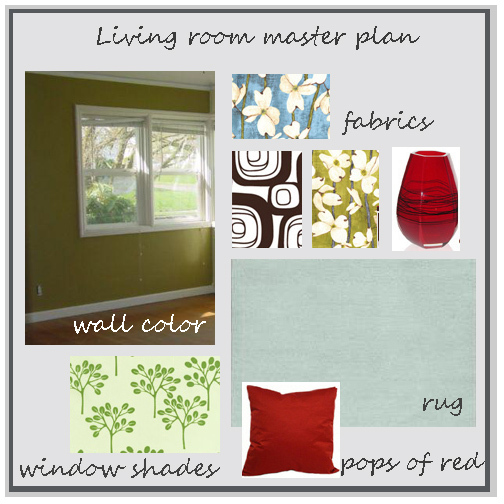 before, but this is sort of the master plan for the living room. Until, you know, I change my mind again. And I think I agree with the majority below: the fireplace should be white, even if it will show smoke and soot. Hey, my fireplace doesn't work anyway!